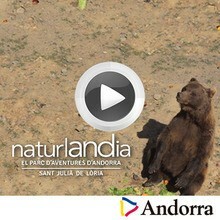 Whether you are visiting Andorra in the summer or the winter, Naturlandia is a mega park of fun activities for the whole family. A few of the summer attractions include taking a ride on a thrilling Alpine coaster, challenging yourself to the amazing Airtrekk, playing mini golf, jumping on trampolines, or flying through the air on a zip wire. For those winter warriors, Naturlandia offers tubby slides, cross-country skiing, snowshoeing and taking in the beautiful scenery by snowmobiles. You will have an enriching experience at Naturlandia any time of the year!